Osteoarthritis occurs when there is wear and tear to the cartilage. This is the most commonly occurring of all types of arthritis. When cartilages break down, bones begin to rub against each other causing swelling, pain and stiffness. The range of motion of joints gets affected and there can be muscle weakness and growth of Herberden’s nodes (bony knobs) at the joints. Osteoarthritis occurs in the joints of the hips, knees, hands, and spine. Age, metabolism, genes, mechanical and chemical factors could be some causes of contracting osteoarthritis. Those who are obese, construction workers or athletes who overwork their joints could also at risk. Treatment options include exercise, lifestyle changes, and medications. Turmeric and its active ingredient curcumin help in reducing inflammation and protect bone health in osteoarthritis. Inflammation is the primary symptom of arthritis that manifests as pain, swelling and redness in an affected joint. Turmeric, as well as curcumin, are natural anti-inflammatory agents. Curcumin’s anti-inflammatory property helps curb the production of inflammatory cytokines in osteoarthritis, suppresses the metabolic activity of chondrocytes (bone cells) and prevents the degradation of cartilage. Curcumin inhibits the activity of protein nuclear factor-kappa B, the key player in the inflammatory process and inhibits the production of inflammatory agents such as interleukin-1beta and tumor necrosis factor-alpha thus preventing the progression of osteoarthritis. Postmenopausal phase increases the risk of developing osteoarthritis due to an imbalance in hormones. A recent study published in Genes & Nutrition, 2016 reveals that curcumin and tetrahydrocurcumin work better than hormone therapy in attenuating osteoarthritis symptoms and pain in postmenopausal pain. 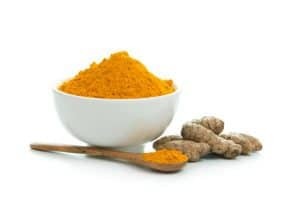 Curcumin and turmeric benefit as anti-inflammatory agents in osteoarthritis and prevent disease progression. Curcumin and other curcuminoids are natural antioxidants. Grover et. al have identified the utility of curcumin as an antioxidant supplement in osteoarthritis. Oxidative stress is the imbalance between prooxidant and antioxidant agents in the body and this contributes to the progression of the disease. A study published in the Journal of Dietary Supplements, 2016 demonstrated how curcuminoids supplementation reduces oxidative stress in osteoarthritis. 40 patients suffering from knee osteoarthritis were enrolled in the study. They were given 1500mg curcuminoids with 15mg piperine every day in 3 divided doses or matched placebo for 6 weeks. At the end of the study, it was observed that curcuminoid supplementation improved antioxidant defenses by raising the level of antioxidant enzyme and reducing the levels of prooxidant enzymes. Researchers concluded that this could be one of the ways by which curcuminoids relieve osteoarthritis symptoms. Curcumin and other curcuminoids present in turmeric are natural antioxidants and can help improve antioxidant defences in osteoarthritis patients. This can indirectly relieve osteoarthritis symptoms. Research proves that curcumin is a chondroprotective agent- it protects bone health and prevents cartilage from degrading. Curcumin acts on various enzymes and proteins in order to prevent cell death of bone cells and degradation of cartilage. Curcumin inhibits the activity of pro-inflammatory enzymes from degrading cartilage. Csaki et. al points out that the combination of curcumin and resveratrol benefits in cartilage protection in osteoarthritis. Buhrmann et.al have pointed out that curcumin can even help in regenerating cartilage in osteoarthritis. Meriva is a specialized formulation of curcumin that enhances its absorption in the body. 4-month treatment of Meriva in combination with glucosamine, a chondroprotective agent is found to have a faster onset of action than the combination of glucosamine and chondroitin sulphate (combination of chondroprotective agents prescribed in osteoarthritis) in osteoarthritis patients. A study published in BMC Complementary and Alternative Medicine, 2014 demonstrated that supplementation of curcumin in osteoarthritis patients brought about a reduction in biomarker collagenase 2-1. This enzyme is responsible for the breakdown and degradation of bone health and cartilage. This study proved that curcumin can clinically prevent degradation of bone health in osteoarthritis patients. Research shows that curcumin can prevent breakdown of bones in osteoarthritis. It also supports regeneration of cartilage. Curcumin and turmeric are natural painkillers. They curb inflammation, act on endogenous opioid pathways and on nerve signaling mechanisms in order to relieve pain. A study was conducted wherein the effect of turmeric extract in osteoarthritis was studied. 1 group of patients received 1500mg of turmeric extract per day and the other group received 1200mg of ibuprofen (a common painkiller) per day. The study lasted for 4 weeks. It was observed that turmeric extracts were as effective as ibuprofen in attenuating pain and stiffness in osteoarthritis patients. However, there was significant abdominal pain and gastric discomfort in the group receiving ibuprofen. This was not observed in the turmeric group. Researchers concluded that turmeric is a safer and effective alternative to regular NSAIDs in the treatment of osteoarthritis. Another study revealed that supplementation with highly bioavailable curcumin (Theracurmin) reduced the dependence on celecoxib, an anti-arthritic and anti-inflammatory drug prescribed in osteoarthritis within 8 weeks of treatment. Curcumin provides better pain relief than commonly prescribed painkillers without causing gastric side effects. Curcumin’s anti-inflammatory and pain relieving action help potentiate the action of various medications prescribed in arthritis. A study was conducted where curcumin was evaluated as adjuvant therapy in osteoarthritis. Patients were given either 75mg of diclofenac sodium per day alone or 75mg of diclofenac sodium plus 1000mg of curcuminoids per day. The study lasted for 3 months. Though no statistically significant differences were observed, patients receiving the combination therapy reported a better reduction in paib and improvement in the quality of life. Celecoxib is a commonly prescribed anti-arthritic drug that acts on inflammatory enzyme COX to reduce inflammation and prevent the progression of the disease. A study published in Rheumatology (Oxford)2006, reveals that curcumin enhances the activity of celecoxib to prevent disease progression in osteoarthritis. It does this by increasing the activity of celecoxib in inhibiting the growth and terminating damaged cells in osteoarthritis that spread inflammation in osteoarthritis. Researchers suggest that this activity of curcumin may enable the use of a safer and lower dose of celecoxib with better outcomes in osteoarthritis. Curcumin’s ability to enhance the activity of anti-arthritic drugs makes it a suitable adjuvant therapy in osteoarthritis. It also reduces side effects of conventional treatment. 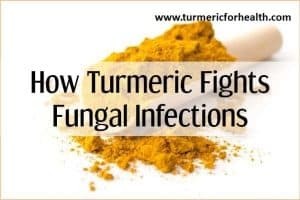 A review study published in the Journal of Medicinal Food, 2016 that most clinical trials report the reduction in disease activity and osteoarthritis symptoms when on turmeric and curcumin treatment. Curcumin is also found to be as effective as painkillers. Overall a dose of 1000mg of turmeric extract per day is beneficial in arthritis treatment. A study was conducted in Kyoto Medical Centre where 40 individuals with osteoarthritis were treated with Theracurmin or placebo for 8 weeks. The paper stated that Theracurmin is 27 times more bioavailable than curcumin powder. Individuals received either placebo or 180mg curcumin per day for 8 weeks. At 8 weeks, theracurmin significantly attenuated pain and disease activity in patients. Also, it reduced dependence on an anti-arthritic drug, celecoxib. Belcaro et. al studied the effect of Meriva, a specialized formulation of curcumin in 100 osteoarthritis patients for 8 months. A significant reduction in inflammatory enzymes and improvement in clinical symptoms was observed. Researchers suggested that Meriva can be considered as a long term therapy in osteoarthritis. Combination of curcumin with exercise therapy and chondroitin sulphate and glucosamine sulphate is also found to help in osteoarthritis. Various studies in humans have proved that curcumin and turmeric extract can attenuate symptoms in osteoarthritis and prevent disease progression. Prostaglandin is one of the many hormone-like substances which are derived enzymatically from fatty acids. Prostaglandin performs important functions in our body, for example, contraction and relaxation on muscle tissue, gastric acid secretion, pain sensation, etc. Among other things, they do they also stimulate target cells into action. There are different types of Prostaglandin but most important and relevant in our context are PGE1, PGE2, and PGE3. PGEs act locally (this is different from hormonal action which shows effect throughout the body) and have rapid metabolism rate. PGE2 is basically inflammatory in nature. In normal cases, there is a fine balance maintained among all the PGEs and they are present in an equal proportion in our body. But with lifestyle changes and changes in the diet the ratio has shifted in favor of PGE2. Thus there is a much higher proportion of PGE2 present today in our bodies. Studies associate this with our eating habits – animal meat and products are known to promote the percentage of PGE2. What it does is it increases the probability of inflammatory disease in our body. So where turmeric does fits into this? Turmeric is known to inhibit the production of PGE2 by reducing arachidonic acid metabolism. Thus reducing PGE2 turmeric decreases inflammation and pain. One of the key benefits of this is on arthritis which is caused to inflammation of joints. Turmeric is helpful in blocking some of the pathways which lead to inflammation and pain in case of Rheumatoid and Osteoarthritis arthritis. Thus it provides relief in these cases. Here are a couple of questions regarding turmeric and osteoarthritis with answers. 1. Will turmeric ease pain in osteoarthritis? Turmeric is a natural painkiller and also has anti-inflammatory and anti-arthritic properties that help relieve pain in arthritis. 2. Does turmeric only reduce symptoms or does it heal osteoarthritis? Turmeric reduces symptoms of arthritis such as pain and inflammation. It also acts at genetic levels, prevents bone loss and works as a chemopreventive agent in arthritis. Turmeric can help reduce symptoms as well as halt progression of arthritis. 3. Can turmeric reduce bone loss in osteoarthritis? Yes, turmeric can prevent bone turnover and cartilage loss in conditions like osteoarthritis. 4. What dose of turmeric should I take for osteoarthritis? 5. 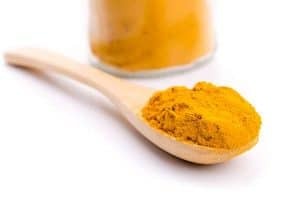 Should I take whole turmeric or curcumin for osteoarthritis? 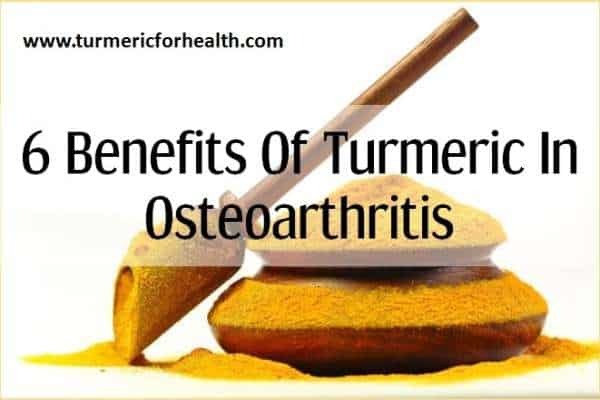 We recommend whole turmeric or turmeric powder for osteoarthritis over curcumin as it contains curcumin as well as other therapeutic compounds and also essential oils which have anti-arthritic activity. 6. Is it safe to take turmeric/Golden Paste with turmeric supplements in osteoarthritis? 7. What herbs can I take with turmeric for osteoarthritis? For arthritis, some of the best herbs to combine with turmeric include ginger, Boswellia serrata, Morus alba, bromelain extract etc. Few dietary supplements that would go well include fish oil capsules, glucosamine, chondroitin sulphate, and resveratrol. Consult a herbalist or health practitioner before you take supplements. 8. Can I take turmeric with anti-arthritic medications? Yes, it is safe to take turmeric in the diet when taking anti-arthritic medications. If taking Golden Paste or turmeric supplements avoid taking it close to the time of taking other medicines. Consult a health practitioner before taking turmeric supplements. 9. Can I discontinue anti-arthritic medications by taking turmeric? Turmeric is not meant to replace professional medical advice and treatment. Many readers do report discontinuation of anti-arthritic medications after taking turmeric but we recommend seeking your doctor’s advice on this. Certain medications like steroids require tapering and this is possible with appropriate medical advice. 10. How long does it take for turmeric to benefit in osteoarthritis? This depends on the individual, severity of the disease, dosage as well as the form of turmeric you are taking. Some individuals experience relief after 1-2 days of taking turmeric while some observe a difference in 2 weeks. At a dose of 1 teaspoon of Golden Paste 2-3 times, a day reduction in pain should be visible within 10 days. 11. I have taken turmeric for a month or more but I still see no improvement in osteoarthritis? Turmeric, when taken in diet in moderate doses, is safe. However, there are certain precautions that you should be aware of and these have been discussed below in the Precautions section. The first way to use turmeric in osteoarthritis treatment is to include it in your diet. Sprinkling it in your salads, adding to curries, rice preparations and soups or simply taking it with milk can even help. Turmeric is poorly absorbed in a body; therefore it is advised to take it with either black pepper and/or healthy fats. The Turmeric/Golden Paste just combines each of these. Start with a small dose say ¼-1/2 tsp and continue for a week. If no side effects are observed then increase the dose by ½ tsp every week. A dose of 1-2 tsp 2-3 times a day (precisely 1 tsp 3 times a day) should help. Avoid taking it on an empty stomach and close to the time of taking other medications. Turmeric milk is excellent for combating pain and inflammation. Turmeric tea is another delicious option to take turmeric. If opting for supplements please consult a health practitioner prior. Standardized 95% curcumin with Bioperine is beneficial. Avoid taking supplements close to the time of taking other medications. Avoid turmeric supplements if suffering from a gall bladder obstruction. Discontinue turmeric supplements 2 weeks prior to surgery. Avoid turmeric supplements if suffering from a bleeding disorder. Turmeric supplements may have drug interactions with blood sugar lowering medicines, stomach acid-reducing medicines and blood thinners. Osteoarthritis is one of the most common forms of arthritis with disabling pain. It affects the quality of life. Including turmeric in diet can help attenuate pain, disease progression and protect bone health in osteoarthritis. I was due to have an operation ,on the day of my operation, I had to fill in a questionnaire about my health and any medication/supplements I was taking, I mentioned I was taking turmeric, the medical staff had a chat together, a nurse came over and said they were postponing my operation due to me being on turmeric, they believed it could effect bleeding, I was advised to stop taking turmeric prior to my operation date. On release from hospital, a senior nurse came up to me and said she took turmeric and that when they cancelled my original operation due to me taking turmeric was a load of nonsense . I have used Star West Turmeric powder for several years. However, I cannot find anywhere as to how much tetra hydro curcuminoids is in the powder? Because this is one of the most important aspects of turmeric I find it very difficult to figure this out? Guidance? Hi. Tetrahydrocurcumin is a metabolite of curcumin; it is one of the by-products produced after curcumin is degraded in the intestine. And yes it is therapeutically active but you would not find it in natural turmeric powder. I just fkund out i have an impediment in my shoulder willt adding tumeric to my diet at meal time help esse the pain. Im usingna pain medication cand want to cut rown on it. Turmeric has pain relieving effect.You can take Golden Paste. Start with small doses such as 1/4-1/2 tsp and if you see no side effects then increase the dose gradually to 1 tsp 2-3 times a day over a few weeks. Best taken with food to avoid acid reflux. Avoid taking it at the same time when you take meds. 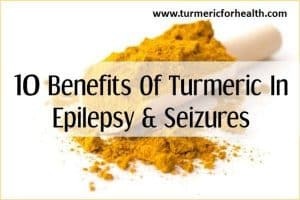 However turmeric is not meant to replace professional help therefore please consult a doctor before making any changes to prescription medicines dose. I am 82 years old and suffer from severe arthritis . I am unable to take anti-inflamatories. I take one 81 mg asirin daily..What form and dosage of turmeric would be safe for me. Hi. You can start including low dose turmeric in diet or take Turmeric Milk for pain relief. However if the aspirin is for blood thinning or maintaining anti-coagulant status then you must consult a herbalist or a suitable health practitioner before taking turmeric. I would like to start taking Turmeric for Osteoarthritis of the knee, what is best to start taking and how much? A therapeutic way to take turmeric is Golden Paste. Start with 1/4-1/2 tsp a day and increase the dose gradually over weeks to 1-2 tsp 2-3 times a day or how it suits you. You would have to ascertain a dose that suits you, one that relieves pain and other symptoms but does not cause side effects. I started taking Turmeric in the liquid extract form, for osteoarthritis in my knees. I’ve been taking the pure liquid extract from the health food store for a week now, and I can now jog up the stairs ; which I’ve not been able to do (or even dance as well) for at least 10 years. I’m finally seeing results by pure liquid Turmeric. I take a dropper full (which is 616 mg of curcuma extract), in the morning upon awakening, with a tablespoon of lemon juice, in water. Where do you buy the pure liquid Turmeric and what brand is it? Keshavk, is better to take a combination of Turmeric and Curcumin? 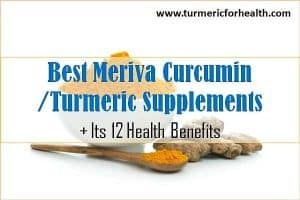 If you are talking about supplements, then yes some people have reported supplements that contain turmeric extracts along with standardized curcumin extracts work better than plain curcumin; however we have not come across any study study that states so. Dietary turmeric already offers you curcumin and other ingredients. And it is safe to consume dietary doses of turmeric (1tsp a day or less) and still take supplements. Consult a doctor before taking supplements. I am confused whether to take Turmeric of curcumin. I take a teaspoon of organic Turmeric once a day for osteoarthiritis in both my knees. I have got relief in that I can bend my knees now or kneel carefully. Should I stick with this doseor up it? I use the turmeric every day sprinkled over my cereal in the morning. Hi. You can try taking the Golden Paste. Golden paste contains turmeric in natural form, so it has more to offer than curcumin. It incorporates black pepper and fats which aid in the absorption. Start with small doses such as 1/4-1/2 tsp and if you see no side effects then increase the dose gradually to 1 tsp 3 times a day over a few weeks. You can take more or less depending on what suits you. Best taken with food to avoid acid reflux. Avoid taking it at the same time when you take meds. This should help alleviate the pain and inflammation in osteoarthritis. You can also continue incorporating 1 tsp turmeric in your diet everyday. If you still don’t experience relief you may consult an herbalist or naturopath about curcumin supplements. How much turmeric powder is good for daily knee osterarthritis treatment? Yvonne you can take 1/2 to 1 tsp of Golden Paste daily initially and then raise the dose to 1-2 tsp 2-3 times a day or how it suits you. 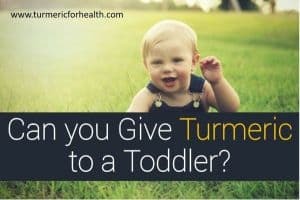 Is there a difference between taking just plain turmeric powder or the curcumin extracted from the turmeric to treat osteoarthritis? Turmeric powder is much more than just curcumin and thus can provide more benefits than just curcumin extract. It is like eating an apple will provide more benefits than Vitamin A extract. Also, powder in diet is a great way to ensure you do not overdose.